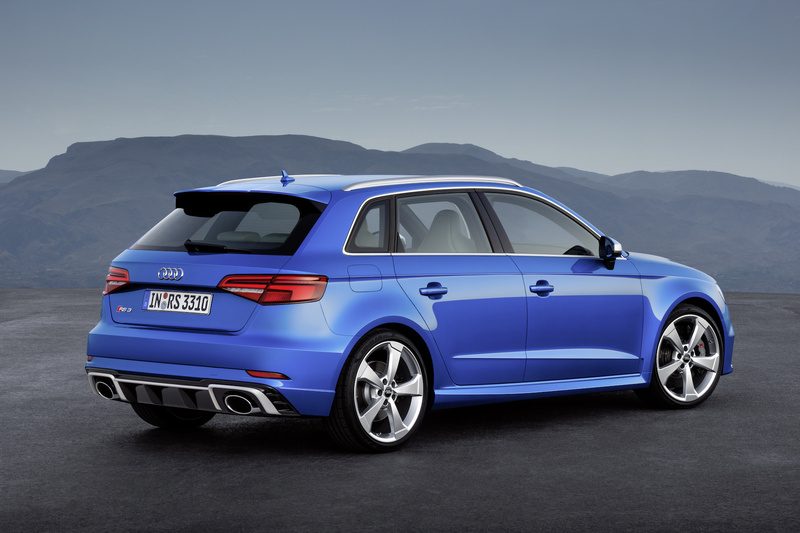 And, before you ask: No, this Audi RS3 isn't coming to America. A good hot hatchback has three things: enough power to test the grip of its tires on a technical backroad; a cargo area that can hold a set of track day tires and a floor jack (or a load of groceries); and a suspension comfortable enough that it can be taken on a multi-hour long road trip without issue or complaint. With the new Audi RS3 hatchback, it appears Audi is trying to perfect that formula—and maybe even go beyond it. 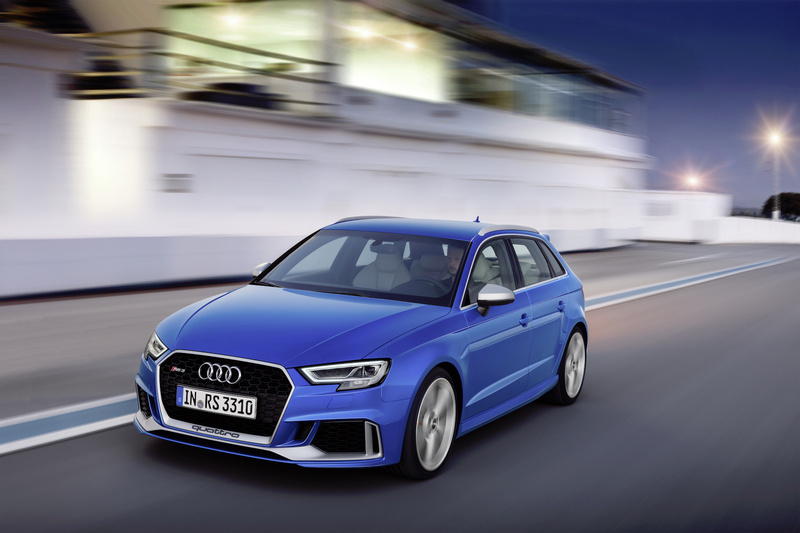 The new RS3 Sportback, announced Friday, sports a 400-horsepower, 2.5-liter turbocharged five-cylinder engine—which is almost certainly the same motor in the already-released RS3 sedan as well as the TT RS. Thanks to some new lightweight internals, that motor is both more powerful than the previous RS3 motor, but also lighter than the former power plant. Like the sedan, the Sportback shoots from standstill to 60 miles per hour in 4.1 seconds, so quickness is not an issue here. 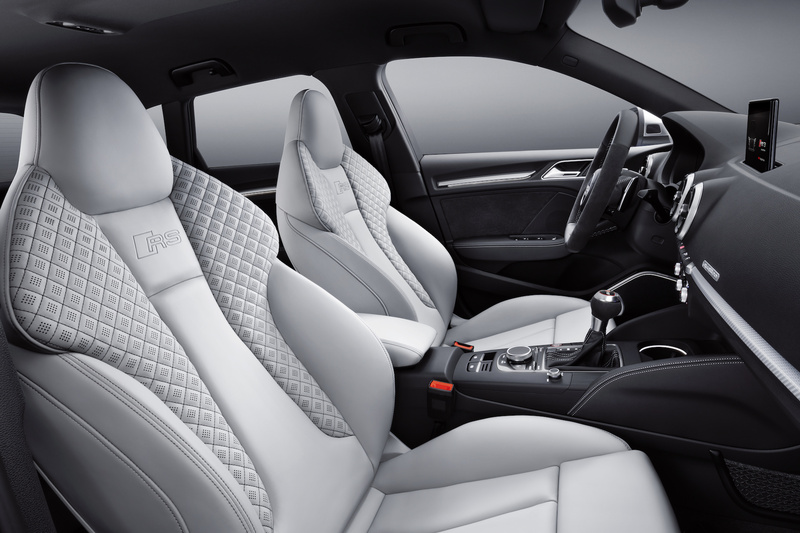 The motor is mated to a seven-speed dual clutch S-tronic transmission and uses Audi's Quattro all-wheel-drive system to put power down to each wheel. Audi says that the "sportier" the car is driven, the more rear-biased the AWD system becomes. The new hatch also has opening and closing exhaust baffles, an optional adaptive sport suspension, and an RS-specific sport drive mode. Basically, it's an even more souped-up, $58,000 (converted from 54,600 euros) Audi hatch. If you're looking for in the market for a powerful hot hatch, there's this, the 381-horsepower Mercedes-Benz A45 AMG, or a modified VW Golf R.